In 1905, an Ohio farmer survived a railroad accident that cost him both of his legs. Two years later, he founded the Ohio Willow Wood company, using the namesake timber to hand-carve prosthetic limbs. The company grew, surviving the Great Depression and a fire that destroyed the plant, and still thrives today in rural Ohio. Few who work there now might remember the curious footnote in the company’s history that occurred during World War II, when the rebuilt factory was diversified to build parts for PT boats and B-17 bombers. Today, it is ironic to consider a company that specializes in prosthetic limbs building parts for the war machine that unfortunately increases demand on companies making prosthetic limbs. Indeed, the tragedy of war has pushed prosthetics researchers to work ever harder to help service members and veterans who have lost limbs. Not only are soldiers losing limbs from IEDs; older veterans are losing limbs from diabetes and vascular disease. Mobility is key to long-term health, and prosthetic limbs are key to mobility. That has made the U.S. Department of Veterans Affairs a key player in prosthetics development and technological innovation. But what is created for service members and veterans has benefits far beyond them, helping nearly two million Americans – civilian children, elderly people and young adults with amputations – maximize their mobility. As a biomedical engineer specializing in prosthetics, I’ve reviewed grant proposals seeking funding from the VA to research prosthetic limbs for several years. 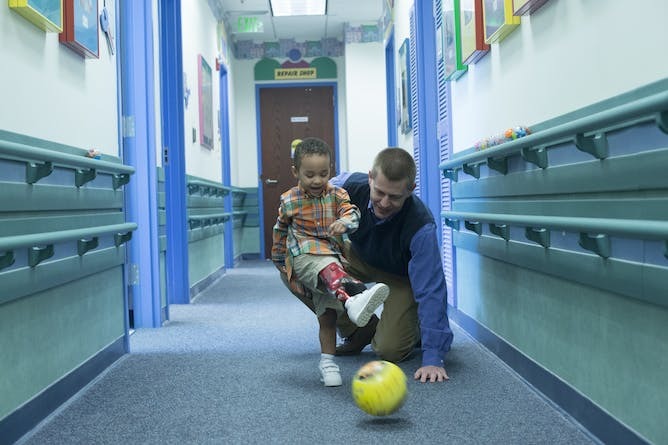 The federal government has long played a vital role in advancing prosthetic technologies. Before the 1980s, prosthetic feet were adequate for standing and walking, but very limited for more intense activities involving running and jumping. Veterans Administration Rehabilitation Research and Development funds were used to develop the Seattle Foot. 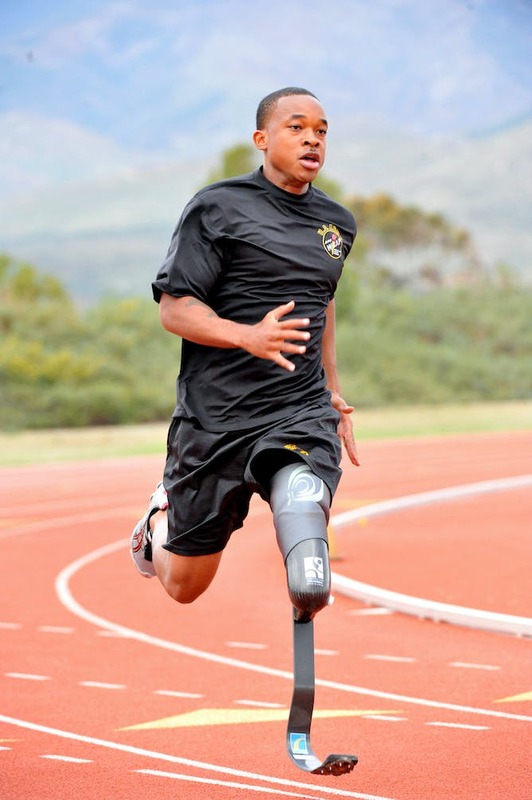 That device and its carbon-fiber contemporaries paved the way for “blade”-style prostheses seen in the Paralympics. For prosthetics researchers, funding from traditional sources such as the National Institutes of Health and the National Science Foundation has become remarkably difficult to obtain, at least in part because of competition. Consequently, many researchers have turned their attention to soldiers and veterans. In 2014-2015, the Congressionally Directed Medical Research Program funded 18 proposals in Orthotics and Prosthetics Outcomes. But that funding is getting more competitive too: 98 proposals were rejected. All this work is, generally speaking, focused on transforming a prosthesis from an external tool used by a person to an integrated replacement that becomes a part of a person. Much of the research involves taking small steps toward reproducing the grand complexity and robust design of human anatomy. We have not yet achieved the flashy and functional capability of a real-life Luke Skywalker with cranial nerves attached directly to motors in a robotic hand. But researchers have made important progress through intermediate steps. A process called targeted muscle reinnervation can connect nerves carrying messages from the brain, like “close hand,” to a muscle over which a set of electrodes are placed. Those electrodes in turn send the signal to the motorized hand to close. Sensory feedback is being developed in a similar manner. While these efforts are not yet ready for everyday community use, they represent crucial progress. Consider also a CDMRP-funded project at the Rehabilitation Institute of Chicago and Vanderbilt University. The lower-limb prostheses used are not just passive spring-like materials: They’re active, motorized joints. Motors require careful control, and the project headed by neuroengineering specialist Levi Hargrove has attempted to learn from the amputee’s muscles when she wants to transition from walking to, say, walking up stairs or down a ramp. Just like your phone’s voice recognition better understands your voice over time, Hargrove’s control algorithm allows the motorized prosthesis to make fewer errors in ambulation. Clearly, projects like Hargrove’s stand to benefit much broader populations than just soldiers and veterans. My own research focuses on children with limb loss, and I see so-called “civilian spinoffs” every day. In our Center for Pediatric Locomotion Sciences at Georgia State University, we’re modeling the material and structural properties of pediatric prosthetic feet. Many of those components can be traced back to that original VA-funded Seattle Foot. Across town at the Shepherd Center, a renowned hospital specializing in brain and spinal cord injury, robotic exoskeletons help paralyzed individuals move their limbs and remap neural pathways, a project with connections to VA prosthetic research. 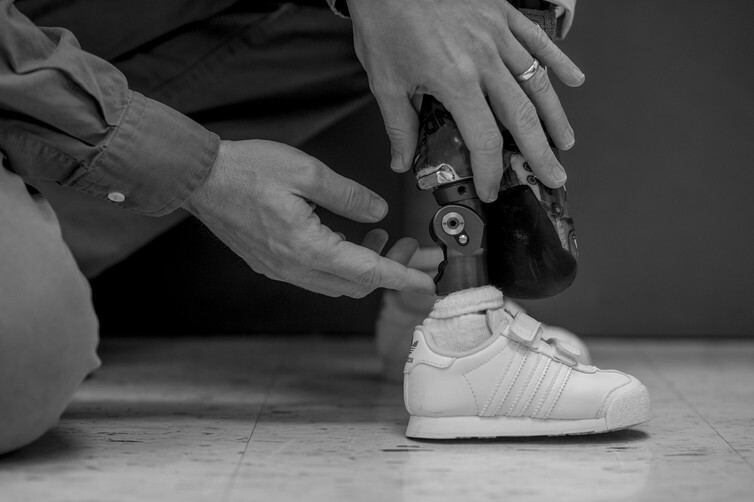 Though they won’t get the public recognition of the Jeep or GPS, these civilian spinoffs from military-funded research in prosthetics will have long-term benefits for people of all ages, and they’ll feel the results every day.